Some cars grow in age. While some only get their price increased. Among all the cars, there are some that grow in size. They are introduced as mini cars or the small segment vehicles. But with time they grow into full fledge passionate rides. Here we are talking about the Daihatsu Terios. The Daihatsu launched it as the Kei car, a mini SUV. But after the successful second generation, this car was converted into a full spectrum mid-size SUV. Well, that was 1997 when Daihatsu introduced the Terios. The vehicle was launched to replace the Rocky which was just doing at par. The Terios was launched to get a better market response which Rocky could not produce. But it did not gain much fame as compared to smaller version introduced for this car. Well, the second generation continued with the similar specs but a better design. And along with that the smaller version, “Terios Kid” even stayed in the market. But this time the response was better than the first generation. While its most of the credit goes to Toyota. Well, in 2015 Daihatsu unveiled the FT Concept. It was a mid-size SUV with bold and aggressive looks. Much like the modern day crossover SUVs. And two years after that the production version of the third generation Terios was introduced. It was totally based on the concept that displayed during the Gaikindo Indonesia International Auto Show 2015. That was spectacular to see a completely grown Terios. It did not look like a sniffy mini SUV that swings around the streets. And in the same way, the price rose pretty generously. Well, the cheapest model of the Terios is available for as low as $13,664. That is certainly the price of a standard hatchback. The Daihatsu Terios does not seem to be the member of Kei cars anymore. As its performance scales have raised more than the specification allowed for the small cars dynasty. Much like its predecessor it has got a 1.5 L 4-cylinder engine. The drivetrain is similar to the one in Toyota Rush. Well, in a way, these both cars are the foster siblings. Well, the Terios has 104 hp of power. 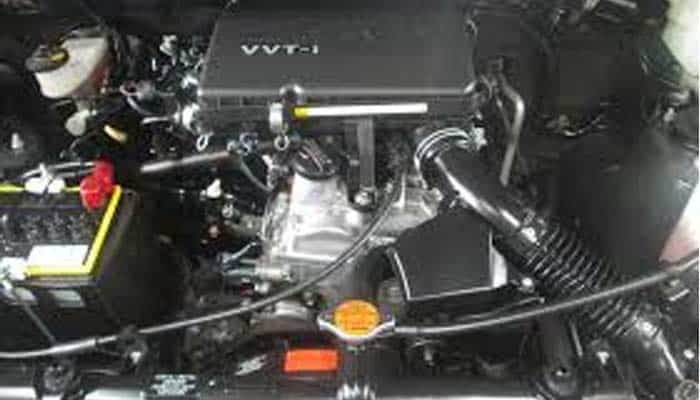 It is 3 hp shy of the previous generation power rating. And the torque is now 3 lb-ft more than what it was before. Despite these changes, there is not much change in the performance credentials of this car. In our performance test, the Terios launched from 0-62 mph within 12.4 seconds. Precisely, that was the toughest ground-level performance from this car. And we made her top 105 mph. On the standard note, the Terios could hardly do this kind of stunt. Even a lot of guys would not accept that this car can show this sort of performance. Away from the performance, the Terios is packed with some decent handling features. Like it has the electric powered steering that seems a bit heavy. But on the smooth roads, it is pretty easy to handle this car. Further, the braking is fine enough to stop this car on the traffic signal. Even the sharp turns would not bother much. If it had been a Toyota’s Terios, it could have become a monkey. But thanks to Daihatsu that they designed a decent shape for this car. Well, as compared to its previous generations, this car has attained a gorgeous appearance. It has grown in size drastically and has got some aggressive appeal. Well, the design incorporates a large chrome grille, 16 and 17-inch alloy wheels, a rear spoiler and a decent shape for the aerodynamics. The cosmetics include LED lights, LED tail lamps, fog lights and sharp looking mirrors. Further, the lower trim levels get the black powder coated grille and black satin allow wheels. 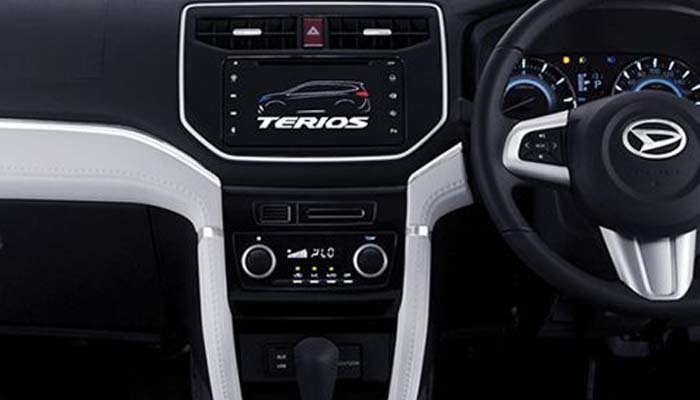 The Terios’ interior is totally above our expectations. What do you think what a car like this would have? Well, it does have a lot of similarities to your approach, but they get some master cut as well. 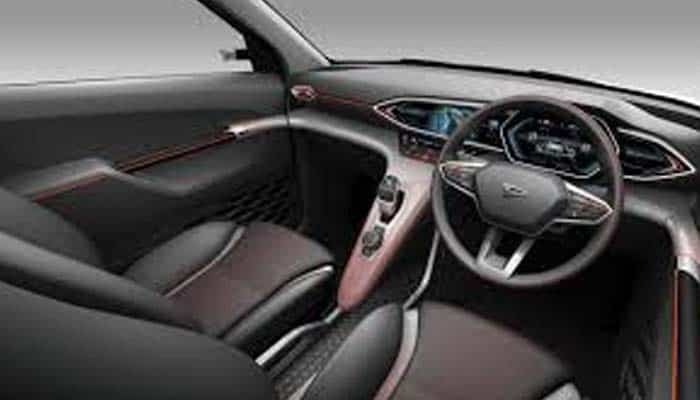 The Terios is available with cloth seats, leather-wrapped steering wheel and gear knobs and the black fiber trim. Further, it has sufficient space for 7 people including the driver. You would appreciate the first row and would not curse the second row. But you might get some problem in the rearmost row. Ahead of that, there is ample space for the cargo. Sufficient enough to carry a long journey’s luggage. The Daihatsu Terios comes with a pretty handy touchscreen infotainment system. Though it is just a multimedia player. But it looks pretty good in this car. Well, it offers to surround view, a sympatric kind of sound system, telephone connectivity and music play. Further, the Terios gets a digital driver’s cluster display with attractive colors. Ahead of that, do not expect much from this car. The Terios has even received a refreshed column for the occupants’ safety. Now it has more safety features than it had before. It comes with airbags and adjustable seatbelts. Further, it gets the anti-lock braking system, the electronic brake force distribution and the stability control. And the driving assistance aids include the hill start assist and the parking assistant. Well, with all these features it is certainly marked as a safe family car. 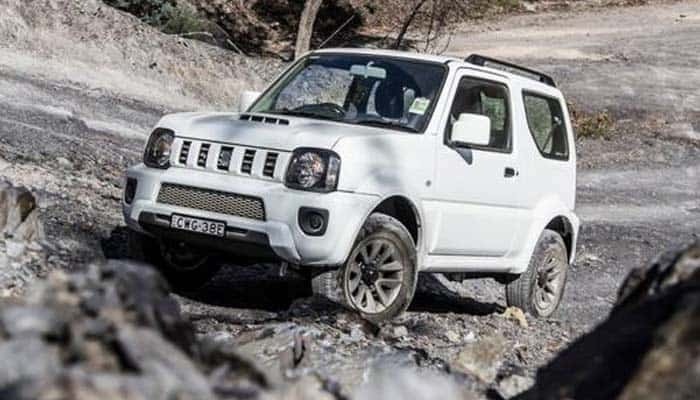 The Suzuki Jimny used to be a better option than the Terios. 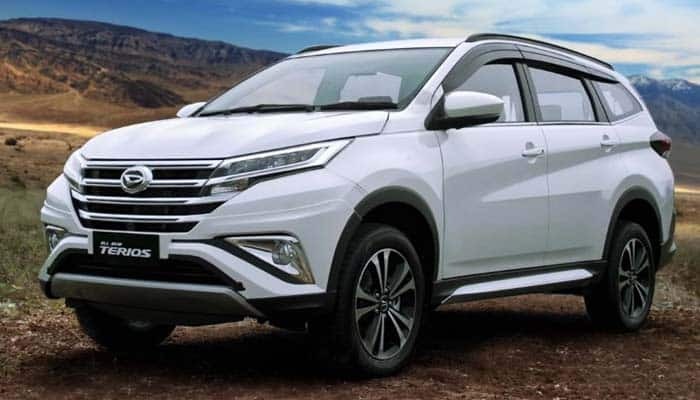 But the newer generation of the Terios has overtaken the Jimny. Well, the next generation of Jimny would be in the market soon, and then the real competition would begin. 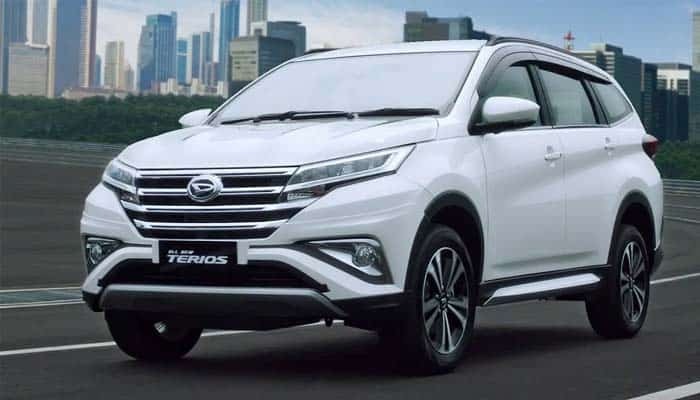 The third generation Terios is no more a small factor fuel saving car. Though it still saves a lot. But it has surpassed the family index level. 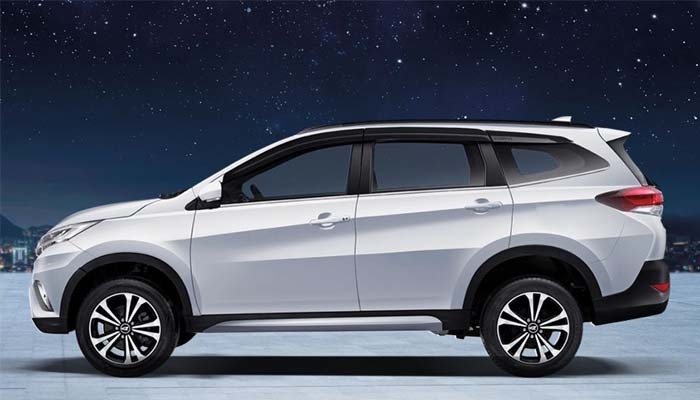 It is now an entry-level SUV for the families.